The rich, older industrialist Enrico has been married to his considerably younger wife Paola for seven years, but has just discovered a cache of photos of her from before he knew her, and he hires a private investigator to find out if there's anything in her past she might be hiding. In her hometown of Ferrara, the detective hears an odd story: years ago, Paola's friend Giovanna was set to marry Guido, but Paola also had a crush on Guido, and just before the wedding, Giovanna fell into an elevator shaft, in the presence of Paola and Guido, and died. The death was deemed a tragic accident, though some had their doubts (as do we), and Paola and Guido parted. In the present day, Guido finds out that the detective has been sniffing around and he gets in touch with Paola. So in a roundabout way, the husband's own actions wind up setting the stage for a rekindled affair between his wife and Guido, to the point where, like any good film noir femme fatale, she suggests that they murder Enrico. And, just like in the typical film noir, nothing good comes of this. A series of deaths, labeled "pyjama suicides" by the press, has London on edge. In the middle of the night, well-to-do men are throwing themselves out of their bedroom windows to their seemingly self-inflicted deaths, though none leave suicide notes. Meanwhile, the public wonders why super-sleuth Sherlock Holmes isn't working on this case. Actually, Holmes, in ill health and thinking he's had enough of the detective business, is on a fishing trip with Dr. Watson. As the two discuss the suicides, Holmes suddenly feels faint and falls into the river rapids, apparently to his death. But, of course, as this is Sherlock Holmes, we know he won’t be down for long, and he's not. A few days later, as a mourning Watson is making arrangements for the British Museum to take Holmes' archives, an eccentric postman pops in who eventually reveals himself to Watson and Inspector Lestrade as Holmes. To my recollection, it’s not made clear why Holmes pulled off such an elaborate charade, but he has decided that the suicides are indeed murders, pulled off in a way so subtle that a woman must be behind them. And one is—Adrea Spedding is pulling a deadly scam in which she visits gambling houses and loans desperate men money in exchange for their life insurance policies. Soon, these men all wind up dead on the street while she collects on their policies, and Holmes dons another disguise in an attempt to figure out how the men wind up driven to their deaths. Judy Walker is a struggling songwriter who has submitted some songs to well-known composer Phil Hale. He sends her a nice rejection letter, but promises to look at her stuff again when he comes back to town. 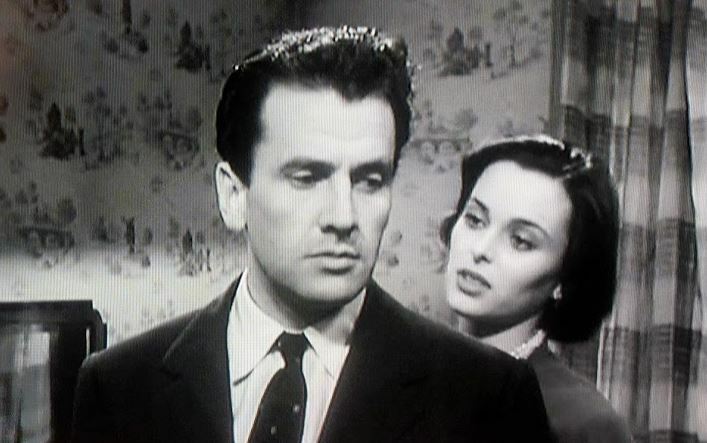 When her landlady gets ready to evict her, Judy alters his letter to make it read as though she is his niece and he is letting her stay at his fancy apartment while he's gone. She also slaps Phil's name on a song of hers and gets it accepted on a radio show sponsored by the Dutchess de Lovely's cosmetic company. Her noisy habits immediately irk her neighbor Bob McKay, also a songwriter, and they get into a wall-hammering argument without even seeing each other's faces. Of course, we all know that soon enough, they will meet cute, and that happens when he supplies lyrics to some her melodies for the radio show. They hit it off until they both head home to the same building and realize they hate each other. More complications arise: singer Dorothy Day is approached to sing the new songs but Bob is her ex, and she is not inclined to be of help to him. Then, inevitably, Phil returns to his apartment, unaware of Judy's presence and the shenanigans being pulled involving his name. 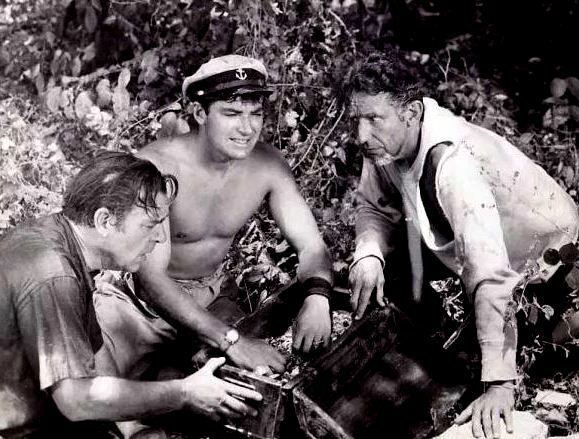 The Swede (Lon Chaney Jr.) is a beefy, slow-witted turtle hunter who works on a boat called The Manfish which operates out of Montego Bay. He likes his work but he loves the ship, and can't imagine life without it. Brannigan, his boss (John Bromfield), is a shady character who is always one step ahead of losing the boat because he owes people money (which he gets but then gambles away). 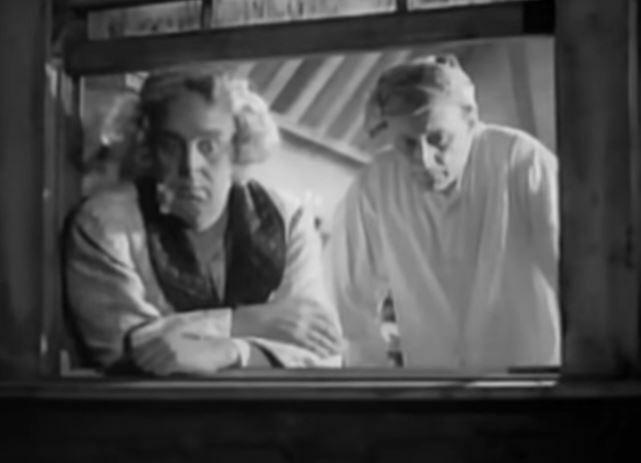 One night, Brannigan flirts with an exotic woman named Alita, but her sugar daddy, an eccentric older man known as The Professor (Victor Jory, pictured to the right of Chaney and Bromfield), takes exception to this and the two men tussle, with the Professor threatening to kill Brannigan. 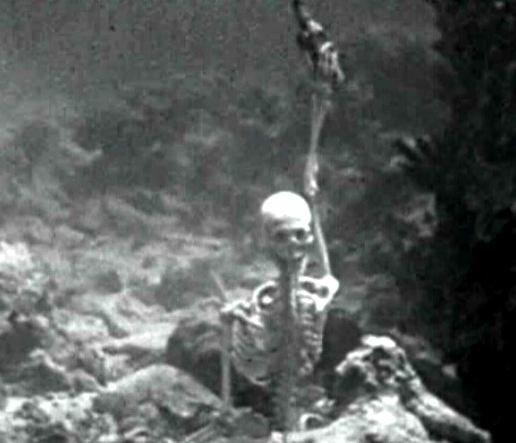 The next day, the turtle hunters come across a human skeleton underwater holding a bottle (a nicely creepy image). 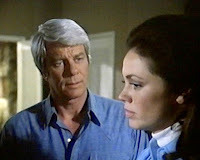 Inside the bottle, Brannigan discovers half of a treasure map in French and a ring, and he remembers seeing a similar ring on the Professor's hand. The Professor fesses up that he knows about the lost treasure of the pirate Jean Lefitte, and soon all of them, along with Brannigan's girl Mimi, wind up on the Manfish in search of the treasure. After returning from World War I, small-potatoes entertainer Harry Van (Clark Gable) tries to restart his career and eventually gets a gig as an assistant to mind reader Madame Zuleika. 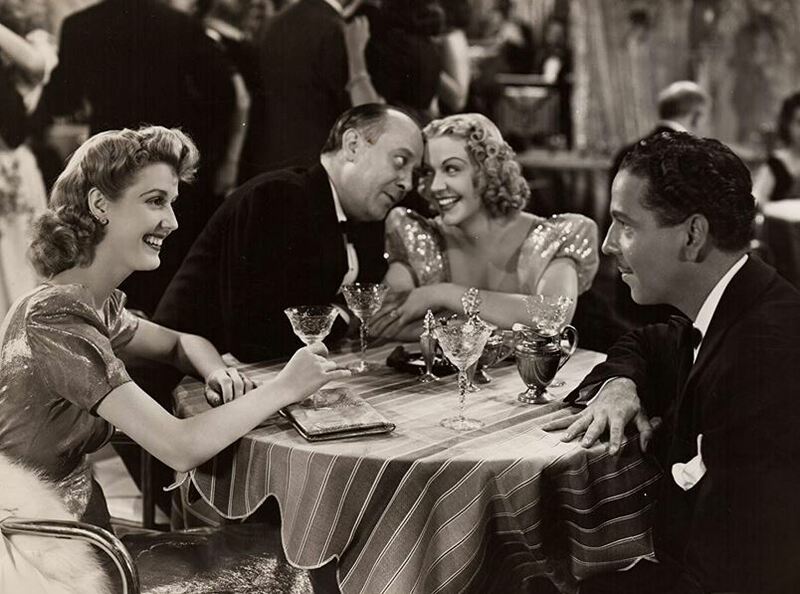 One night in Omaha, when Zukeika, a bit soused on gin, messes up the act, acrobat Irene (Norma Shearer) tries to help out by prompting her from offstage but ends up making things worse, and Harry and Zuleika are run from the stage. Later, Irene apologizes to Harry and we discover two things: she makes up most of the details of her life—among other things, she claims to have grown up in Russia despite having no trace of an accent—and she thinks she's destined for greatness. He calls her a "beautiful phony" and the two have a one-night stand before parting for other towns. Ten years later, in 1938 as wartime jitters have taken hold of Europe, Harry, now a traveling song-and-dance man, is stranded at a hotel in the Alps with his band of six young women called Les Blondes. The border into Switzerland has been closed, at least temporarily, and just below the hotel is an air base out of which threatening military maneuvers have been occurring. Also stranded are a German doctor, an agitated pacifist, and a young and innocent newlywed couple. 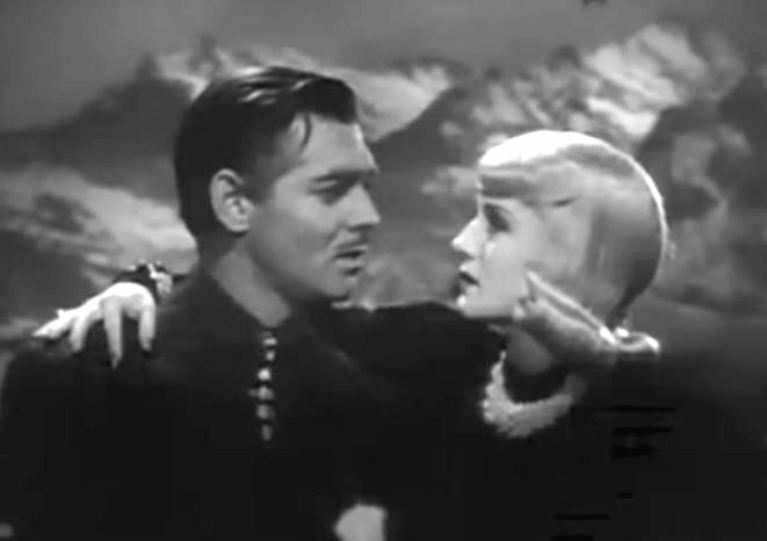 A little later, who should show up but Irene, now calling herself Irina and sporting platinum blonde hair, a thick Russian accent, and a important lover, the arms dealer Achille Weber (Edward Arnold) who stands to make a lot of money if war breaks out. 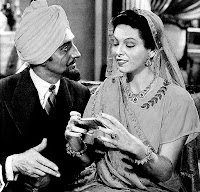 In addition to the rapidly growing international tensions, the guests get on each other's nerves, and Harry is determined to make Irina admit to him that she is Irene from Omaha. This is an odd duck of a movie. Despite the straightforward narrative summarized above, it's difficult to say what this movie is about. 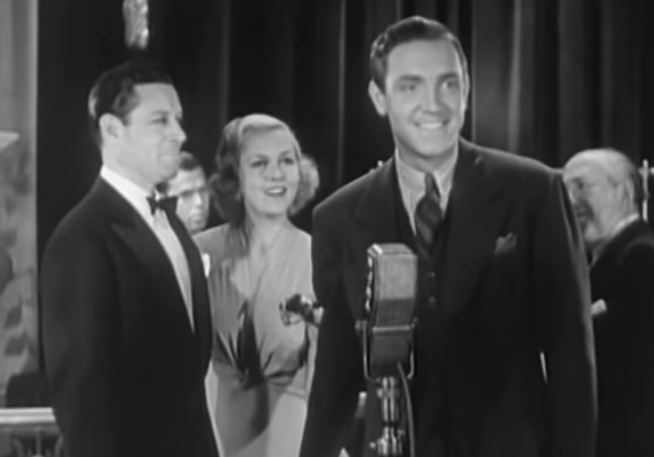 Its stars, Gable and Shearer, are in romantic comedy mode, and if this had been made a few years later, the pace might have been quickened, turning it into a screwball comedy. But the overwhelming tone is one of pessimism about the state of the world—this was released in January of 1938, before the start of World War II but after the first acts of German aggression—and most of the other characters function more as symbols than as people we come to care about. This is especially true of the pacifist (Burgess Meredith, struggling with his character's lack of, well, character) and the Army officer (Joseph Schildkraut, very good in what ends up being a muddled and unimportant role). 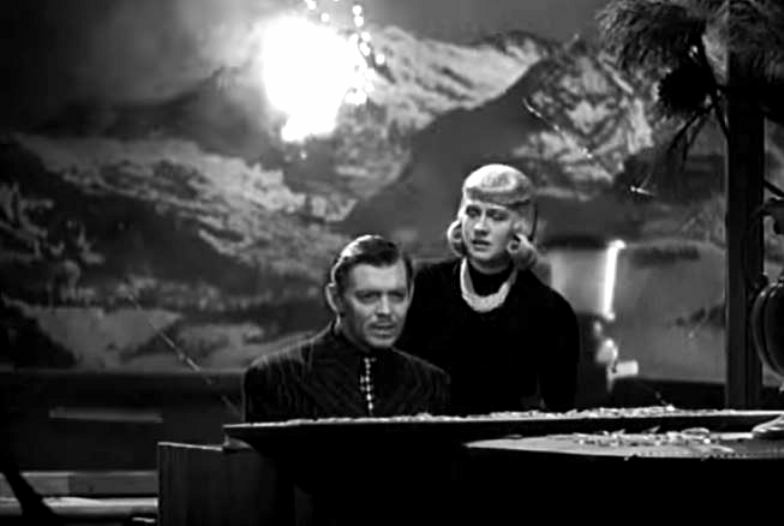 It's based on a Pulitzer Prize-winning play from 1936 which wound up predicting the European war situation, but the movie, for practical reasons concerning the possibility of getting banned in Europe, is less specific about the who and where—in the play the hotel is in Italy, which would make Italy the attacking country, but here, the hotel is just on a border in the mountains, and the only foreign language we hear is Esperanto. 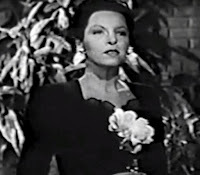 Jean (Brenda Joyce) arrives in the small western town of Domingo to begin a new job as a companion to Zenobia Dollard (Gale Sondergaard), a blind, wealthy and seemingly mild-mannered woman who can't seem to keep good companions—her last one, Betty, left abruptly to go back east. 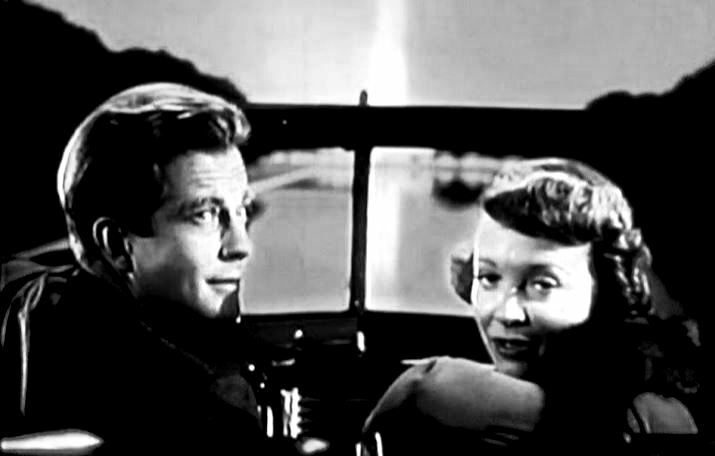 Jean is surprised to find that her ex-boyfriend Hal (Kirby Grant) lives in town, and still has hopes that the two of them will get back together, even though he gets only surface friendliness and no encouragement out of her. Living at the Dollard mansion with only Zenobia and a hulking mute servant named Mario (Rondo Hatton) is a little unsettling to Jean, especially when Zenoiba keeps gently forcing her to drink her nightly milk. We soon discover that the milk has a sleeping drug in it, and in the middle of the night, Zenobia, who is not really blind, comes to Jean's room, draws some of her blood, and feeds it to some poisonous plants in her greenhouse. What's up with that? Could it have something to do with cattle in the area which are dying off mysteriously? When Jean tries to correspond with Betty but has her letters returned at undeliverable, she becomes suspicious. Sure enough, Zenobia's blood-drawing weakens her victims; she killed Betty and will certainly have to take care of Jean soon, unless poor, unloved Hal can save the day. The U.S. State Department is having trouble at a consulate in Mingu in Northern China, referred to as a "listening post" since its main function is to collect news and information about any goings-on that might be of interest to our government. Marshal Yun Usu, an exiled Mongolian warlord who, yes, eventually gets compared to Genghis Khan, is stirring up trouble, and when a fur trader who had been a good source of info is found dead with his tongue cut out, the State Department decides to send former Marine Ken Seely (William Lundigan, pictured) in as a deputy for the beleaguered chief counsel. During training, he meets up with old friend Marge Walden (Virginia Bruce), also in the foreign service. 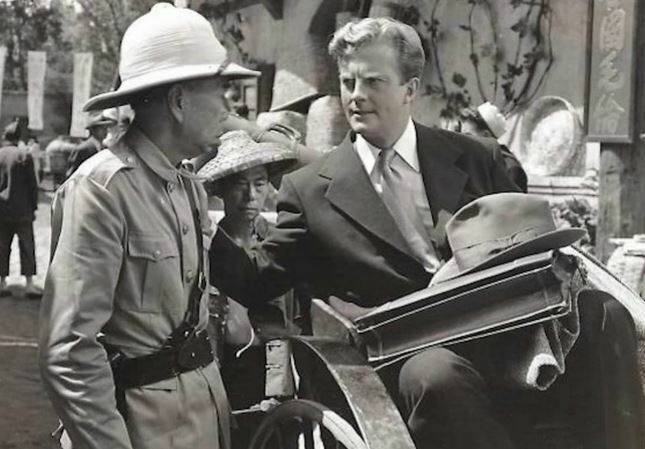 We find out that Ken was born in Mongolia of missionaries who were murdered by bandits and he welcomes the chance to go back there and help fight the current bandits. The two go on a date, parking at the Washington Monument, but their love chat consists mostly of patriotic propaganda pronouncements—perhaps due to the intimidating symbolism of that big monolith. Ken runs into some trouble on his way to Mingu, barely escaping a midnight knife attack, but when he arrives, he is pleased to find that Marge has also been assigned to Mingu. Eventually, Yun Usu and his men also arrive (in a large and fancy trailer). When local radio operator Johnny Han tries to sneak a message out to Peking, Yun Usu's men kill him, cutting off his arm first. A battle of wits begins between Ken and the warlord, who is essentially holding the foreign service folks hostage. Ken is able to plant a bomb in the trailer, but plans may backfire when Yun Usu decides to escape and take Ken with him. I've been a teacher, bookseller, and librarian and I've spent most of my life in Central Ohio. I have a husband, Don, whom I've been with for 27 years, a cat named Asher, and I now have 3 blogs, a Twitter account, and a Facebook page, all of which take up enough time to excuse the fact that I never got around to writing the Great American Novel.